People have had gripes with their governments since the beginning of civilized societies. But I would think criticism of government is at an all-time high, whether it's people complaining about government on the federal, state, or local level. All we seem to hear is that government is too big, meanwhile things like sequestration are happening and budgets for important programs are getting cut along with jobs. But there's one thing in Charlotte, and in North Carolina as a whole, I don't seem to notice people being too concerned about: the fact that all the liquor stores are government-run. To be specific, in North Carolina, liquor stores, or retail spirit stores as they're called, are operated by Alcohol Beverage Control (ABC) boards in individual counties. So in Charlotte, the liquor stores are ran by the Mecklenburg County ABC Board--there are currently 24 stores throughout the county. If you live here, I'm sure I'm not telling you anything you don't know. Well, you might not know the legalities of it, but you know that any time you want to buy a bottle of liquor from retail--your favorite vodka, tequila, gin, rum, or the like--you have to get it from a store with the big, illuminated ABC Spirits sign. This is the first state I've lived in where the liquor stores are government-run, even if it is on the county level, and I've just always thought that was weird. And this is coming from a guy who grew up in South Carolina where we have some of the most archaic laws, commonly referred to as blue laws. But even in the Palmetto State, liquor stores are owned by private business owners, even if there are tough restrictions on what times liquor can be sold. 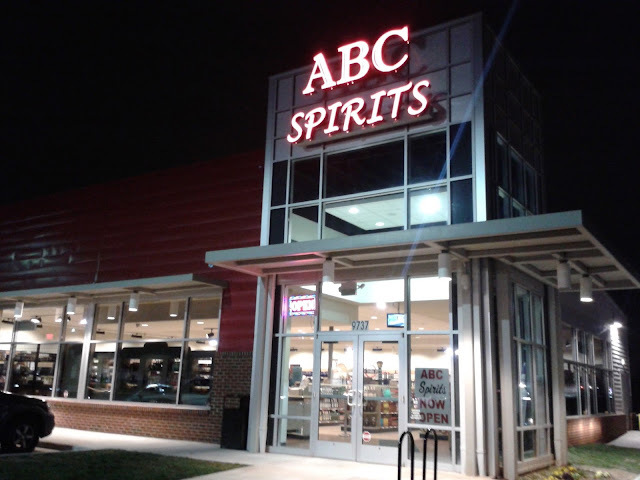 This evening, I made a quick stop into the ABC store that's only about five minutes from my house. It's one of the newest in the city and is located across the street from a Walmart. Whenever I'm in there (which isn't too often, but hey, what if I go every day--mind your business), I always think about how liquor sales is such big business. And how come the conservatives or, better yet, people like the Tea Partiers, aren't complaining that government is taking away money that should be going to small business owners? Yeah, I know Meck ABC loves to tout how much of its profits go back into the community. But Americans care more about capitalism. 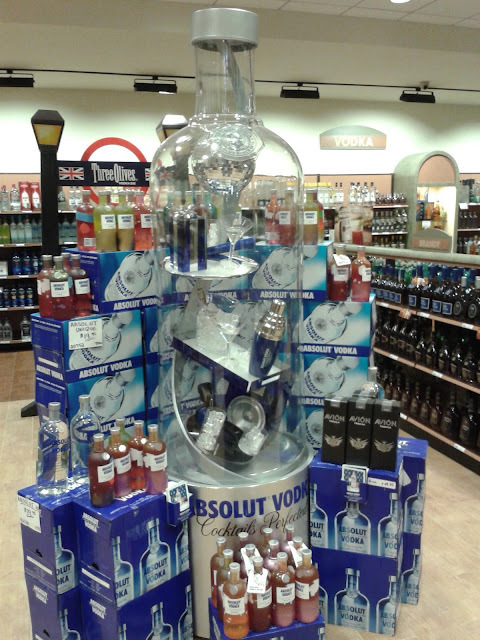 Or is it okay for our liquor stores to be socialists? The one thing I will say that I'm pleased with that's a direct result of the ABC stores here being run by the government, is that they're some of the cleanest, well-maintained businesses you'll find. And they're usually placed in appropriate locations, oftentimes in or near shopping centers. Basically what I'm saying is we don't have to worry about having filthy, corner liquor stores in the hood. The ABC boards were established in North Carolina in the 1930s, but in this new era we're living in when government officials can't decide on budgets, and people are saying that government is too big, maybe county governments in North Carolina should have one less thing to be responsible for. And the liquor stores should be returned to the people. Who's going to drink to that? Mr. Holliday, you have opened my eyes about the ABC stores. I grew up in New Jersey where the liquor stores are privately owned and you're absolutely right about the dingy corner liquor stores. Also one time when I was in Los Angeles on business there was a liquor store right down the street from the office building and it was just like something out of movie where people were just sitting there getting drunk, drug deals were being made and prostitutes were selling themselves in broad daylight. I will never bemoan the state government owning the liquor stores again. Thank you. Great comment, Trench. That's a funny L.A. tale! I hate that they are government run-I grew up in upstate NY and they have private stores (not government run) and they may be dingier but I've noticed that the people who work at the ABC stores tend to be ruder and more judgmental. I also do not like to use my card at the ABC store because it is not the government's business what I buy at the liqueur store.